The political crisis in Venezuela has intensified since Juan Guaido proclaimed himself acting president on Wednesday, but what happens next may depend on the United States and the Venezuelan military. In a country that has economically collapsed, with inflation forecast to hit a breathtaking 10 million percent this year, National Assembly chief Guaido said Wednesday he would “formally assume national executive powers” to end the “usurpation” of power by Nicolas Maduro. This is the solution Guaido favors: the formation of a “government of transition” and then the organization of elections. Guaido urged the military, Maduro’s most powerful backers, to sever ties with the “dictator” in exchange for an amnesty. But the military, for now, remains loyal to the head of state who has been in power since 2013. If the army maintains its loyalty, the prospects for change will depend on the opposition’s ability to unite and stay united, to moderate its expectations and to accept a “longer-term transition,” said Peter Hakim, president emeritus of the Inter-American Dialogue, in Washington. Another factor that could accelerate the transition: if Donald Trump imposed sanctions on Venezuelan oil (the U.S. buys one-third of its total exports, some 510,000 barrels a day last year), this would deliver a fatal blow to the economy and fracture Maduro’s base of supporters, according to the Capital Economics consultancy. 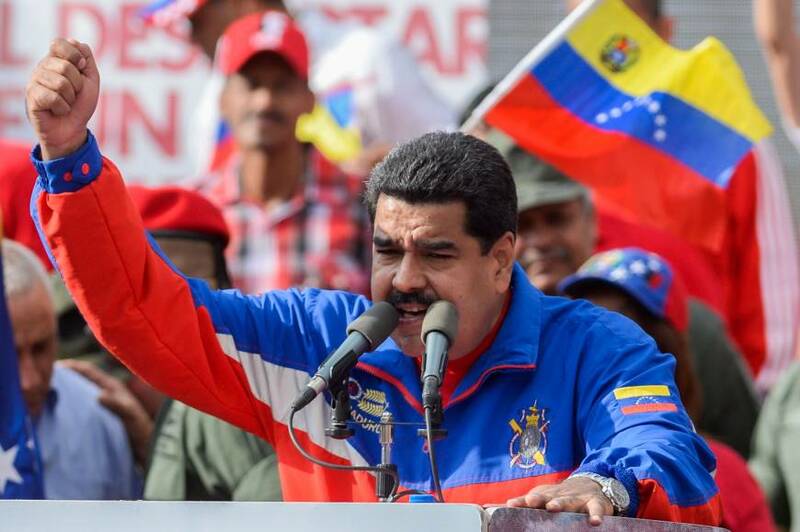 Maduro might be able to rely on financial support from allies like China, Russia, and Iran, countries “more united by suspicion of U.S. interests than any sympathy for the Venezuelan leader himself,” said Paul Hare of Boston University. Part of the international community favors that solution: the European Union sees Maduro’s presidency as illegitimate but has yet to recognize Guaido as president and has called for the creation of a “contact group” between the two camps. Mexico and Uruguay also favor a negotiated solution. For Shifter, the best outcome would be “a prolonged negotiation between a more united opposition and a government on the defensive.” It would be the fifth attempt at a negotiated solution between the government and the opposition since 2014. With luck, he said, it could lead to the organization of new elections.